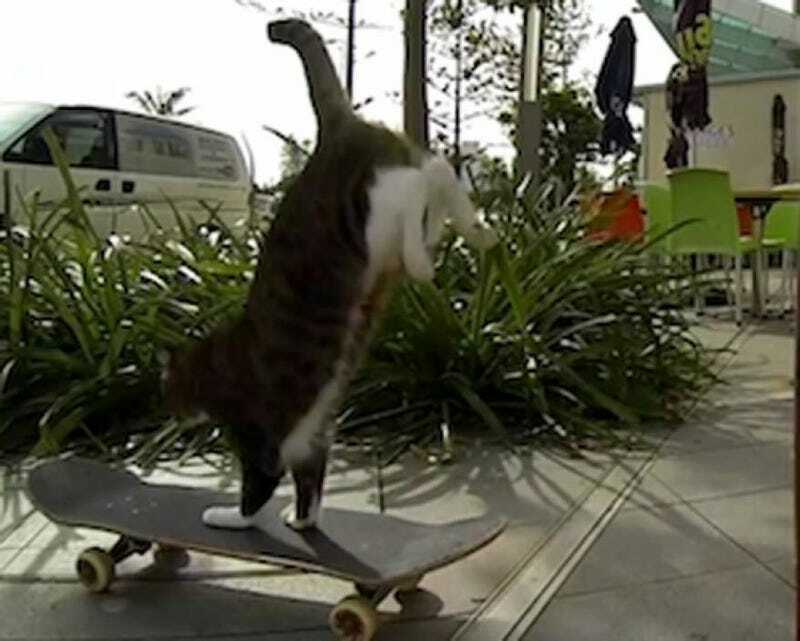 From youtuber Catmantoo; Didga the skateboarding cat. No stunt doubles. I'm not sure how they got all the shots; go-pro camera(s) for some, obviously, others shots, it's not so obvious.